A hop off the well-traveled Patagonia road, onto the Carretera Austral and into the inland waters surrounding the Chiloe Archipelago. Ferry from Chile Chico to Puerto Ibanez to Coyhaique and the Naviera Austral to Chiloe Island. A taste of what we saw, who we met, and what we ate. Read more about traveling in Chile. 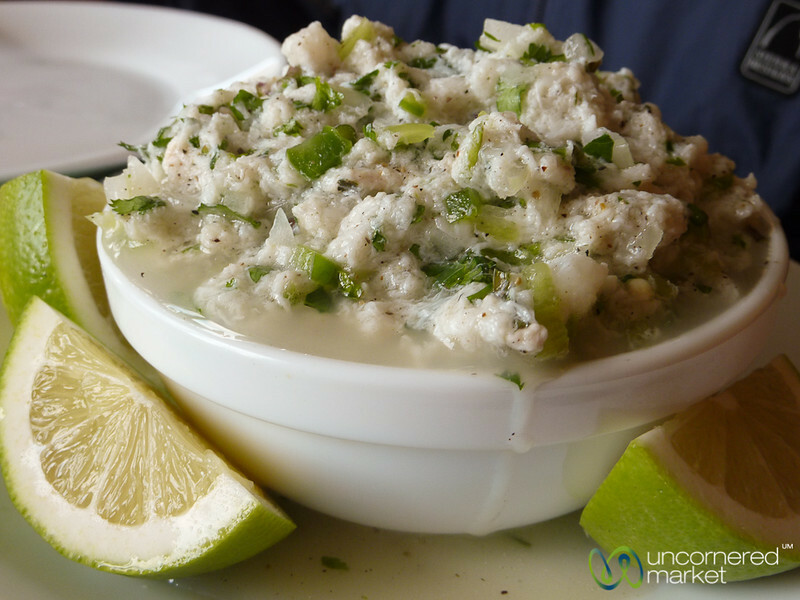 A large bowl of Chilean style ceviche in the port town of Castro on the island of Chiloe, Chile.